Will New EPA Head Open Agency to News Media? 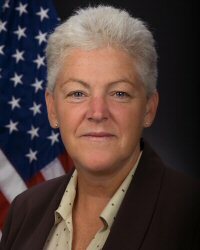 April 10, 2013: In recent years the Obama administration has taken secrecy to a new level by failing to respond to even many routine inquiries by the news media about what this important agency is doing in regard to human health and protecting the environment. With Gina McCarthy's nomination to head the EPA facing confirmation, it's time for the Senate to ask some hard questions. Below is an SEJ statement on the need for greater EPA openness with the media. A shortened version of this statement was sent to members of the Senate Environment and Public Works Committee. The Obama administration has been anything but transparent in its dealings with reporters seeking information, interviews and clarification on a host of environmental, health and public lands issues. The EPA is one of the most closed, opaque agencies to the press. 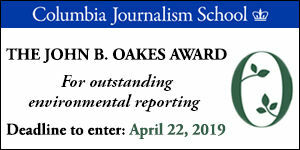 Members of the Society of Environmental Journalists – a group of 1,350 journalists who specialize in environmental coverage – face substantial hurdles getting their questions answered about air pollution, water quality, oil and gas operations and other issues. But the problem is pervasive. SEJ members report similar obstacles obtaining public information from the Interior, Energy and Agriculture departments, the Food and Drug Administration, the Centers for Disease Control and other federal agencies. Reporters who have covered the EPA for several decades say the agency was far more media-friendly and open prior to 2000. But media policies were substantially eroded during the administration of George W. Bush, and they’ve only gotten worse under President Obama. Today, the Senate holds its hearing to consider McCarthy's nomination. A new EPA administrator is a chance for a fresh start, but we are troubled by her past statements defending the agency's tight grip on communications between journalists and agency scientists and policymakers. "It is the job of the agency to make sure that personalities don't get in the way of really discussing the science in a way that maintains the agency's credibility," she said at a Union of Concerned Scientists symposium last year. "The balance that we try to bring ... is to just make sure we are really providing factual information, not a layer of assessment that is based on someone's personal interest or advocacy." But the balance is badly out of whack. The policies she endorsed bottleneck the free flow of information to the public. Information and interview requests are routed to the agency’s Washington headquarters, where they often languish and die. Reporters are regularly required to submit written questions, even on the simplest daily stories. Interview requests are rarely granted. Delays are routine. Replies, when they do come, are from press officers, not scientists or policymakers. Answers to requests made under the Freedom of Information Act also are routinely delayed. The policy is counterproductive to accurate reporting and inimical to the American public’s right to know about important health and environmental issues. SEJ calls on the administration to streamline the handling of information and interview requests, and to allow more open and direct access to administrators, policymakers and the scientists whose research guides government decisions. We also urge EPA, Interior and Energy department administrators to hold regular news conferences, both in person and via conference call, to answer reporters’ questions on all topics. 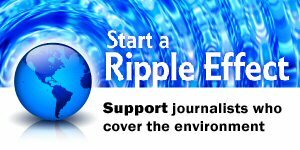 As journalists, we are working on behalf of our readers, viewers and listeners to produce timely, accurate and complete reporting on important environmental and health issues. The administration works for them, too. Shouldn’t it have the same goals? It’s a question that the Senate, in its hearing today, should ask the EPA nominee. — Beth A. Parke, Executive Director, Society of Environmental Journalists (www.sej.org); contact bparke at sej.org. 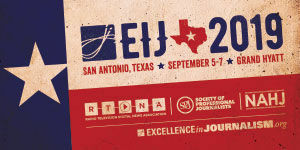 — Joseph A. Davis, Director, SEJ Freedom of Information WatchDog Program; contact jdavis at sej.org. "EPA: Agency comes under fire for 'closed, opaque' press policy," Greenwire, April 11, 2013, by Emily Yehle. "McCarthy faces transparency questions Journalists, GOP demand more openness at EPA," The Observatory, Columbia Journalism Review, April 12, 2013, by Curtis Brainard. 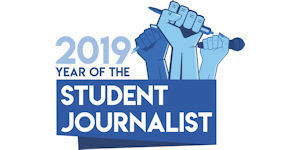 "Green reporters group slams Obama, EPA for stonewalling media," The (Washington) Examiner, April 12, 2013, by Joel Gehrke.